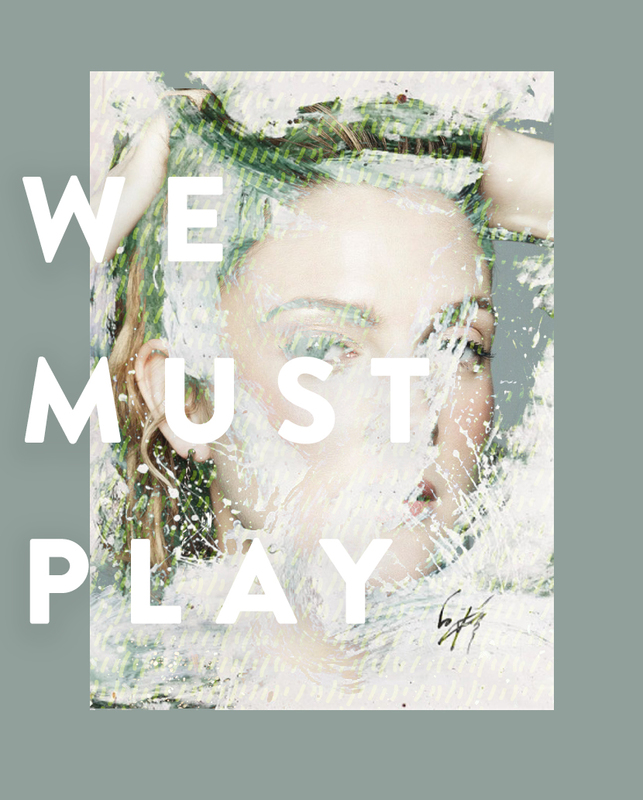 A while back we wrote a post about The Importance of Play and how it is something that sadly has been phased out of our lives as adults and how we have been making it a priority in our lives as creatives. We believe everyone needs to have an element of play in their lives no matter what you do, but it is most essential for creatives. Play is essential in life and it comes in many forms. Play is what will help you discover new parts of creativity and allow you to feel more freedom within your creativity. The problem is we too often feel that by just giving ourselves a few hours to play we are missing out on getting something else “more important” done or that play takes us from paying our bills. I get it. I have moments where I feel like thinking about adding in Play into my life is just another thing on the to-do list, but I know it doesn’t have to be that way. What if play could be the secret thing that allowed you to discover what you are supposed to do and what you are passionate about? What if play was the thing that was the greatest investment you could make into your creative career? About 7 years ago I began a place on the internet just for play and for fun. It was a space all my own where I could make fun collages of things I found on the internet. I could doodle over images. I could create a world all my own where no one could give me parameters on what it would look or feel like. That space is this one you are reading today. I have and always will see this space as my form of play. Even with it being a piece of our business, there is stil so much play I have in this space (such as the graphic above). Now, your play does not have to be a blog, but my suggestion is to find something you have always thought would be fun to try. You may be terrible at it or at the most a little bit good, but choose something. If you have a creative career, play can also come with your creative trade. If you are a designer, maybe you create fake clients and projects that demonstrate an dream client. If you are photographer, create a play shoot. If you are a videographer, shoot a film you have been dreaming about. If you are an illustrator, set aside time to just doodle. Whatever it is, you need to have that time for play. Your play may become something bigger, it may open your ideas and creativity wider, or it may just be a relaxing release at the end of the day. No matter what, it is something we all can make a part of our day and life. I have found that I need a specific space and allowed time to just play. I have to set a quiet and uninterrupted time to find mental space to just create. This is much harder to find these days, but when I do I find so much fulfillment in it. It can be very life-giving especially as a new mom. For me, I tell Mike every other day I need to have at least 2 hours of uninterrupted time in my own space in my own world. It isn’t easy with a 4-month-old, but in order for me to be a good business owner, partner, wife, mother, and friend I need this space to just play and dream. This time is where my best ideas come and where my clearest thoughts flow in. In many ways this is my intentional meditative creative time. I allow ideas and inspiration to just flow in and out. I grab on to the things that nab me. Sometimes it is an idea for a blog post. Sometimes it is something I want to explore with type. Sometimes it is a vision for life. Sometimes it is simply spending hours on Pinterest and visualizing a new idea I had. Either way, I designate about 4-6 hours a week to this during a time of day that I am most awake and present. If you are anything like me you may start something and want to be great at it right away. The truth is you don’t have to be. Playing and enjoying something is the best way to learn and to begin to be great at something. You don’t have to show what you do to anyone if you don’t want to. Create just to create not for anything else. You will find far more joy in the time you give yourself to play. When I started blogging…it was silly, but beginning was the best thing about that stage in my creative work at that time. Just starting somewhere and giving myself room even between freelance projects to do something I felt creatively inspired by was rewarding even if I wasn’t great at it. Though you don’t have to share it with anyone at least catalog it. I know you may think this is silly, but I find it fun to look back and to see how my play and creativity has evolved over the years of just playing. For the first about 8-10 months of having the blog I never shared it with anyone other than Mike. I didn’t want anyone else to know what I was doing because in some ways I felt silly, but when I started realizing that my play was my passion and something I wanted to see where it could go I let it loose. That was when I was glad I had documented all those months. The best ways to catalog are pretty simple. You can create a Tumblr page or use a private Instagram account. Anything like that will do. But I just suggest cataloging it in some way. Sometimes the important part of play is that the play doesn’t happen where you spend your work hours. Maybe it can, but in many instances having play and work happen in different spaces can be refreshing just on its own. For me, our studio has always been my space of play. I hate hauling through emails and doing the tedious part of our work sitting in there. So instead many times I will do this on our kitchen table. I do my play work either sitting on the couch at night or in the studio. It is interesting how separating the two can make all the difference. I know this is cliche, but play is meant to be fun. It is your recess from the rest of life. There are things that you do to pay your bills and there are the things that you SHOULD do just because they are fun especially when it comes to your creative work. If you are struggling to find joy in your creative work then you need more play. You may say you don’t have the time or the space in your life, especially in finances to do it, and I am going to tell you that that isn’t true. Play is an important vital part to being a great creative and if you don’t allow yourself the space it is similar to wracking up debt you cannot pay on a credit card…you will eventually find yourself creatively bankrupt. I have been there. Making play a priority is like plugging a few extra dollars into your retirement account. The number of creatives I know that turned play projects into massive profit is enormous, but money isn’t the only reason. Sometimes the play is what allows you find the next phase of your creative work and direction. If you feel strung out and burnt out start adding in more time to play…you, your business, and your creativity will thank you ten-fold. You should never feel like play needs to be forced into your life. The moment play no longer feels fun, imaginative, or dreamy, than it is no longer play, but work. This is when it is time once again to reevaluate what play means for you. I would love to hear how you each have made play happen in your careers? Has your play ever turned into something bigger? What suggestions do you have? I Completely agree. My Work is way more productiVe and creative when i make time to play. it hElps me step out of the boX and stay inspired. It is definitely true that whenever I set out to play, great work comes out of it. Trying too hard to make something beautiful never really works. i have to approach my work with the mantra my father instilled in me, ‘It’s not work it just play.” That being said your article reminds me to take time to do something completely useless, totally for no reason other than to be playful at it. As much as I believe in it, it is so hard to do. Thank you – you have given some very good reasons to play. I have been thinking lately perhaps I have been going overboard with my snapping away of photos on instagram, but now I realize it is fun and is promoting my creativity. it is also making me more mindful of my natural surroundings. a friend has challenged us to post a photo of nature a day on facebook in order to improve the daily images of social media.